Heading into the Eastern Conference semifinals against the Cleveland Cavaliers, point guard Derrick Rose emphasized how confident his Chicago Bulls were feeling. With a 99-92 victory in Monday night’s Game 1, it would appear Rose knew exactly what he was talking about. Behind the point guard’s team-high 25 points, Chicago went into Cleveland and wrestled home-court advantage away from the East’s No. 2 seed. Of course, it’s not as if we haven’t seen this story before. For the third time in Tom Thibodeau’s tenure as the Bulls head coach, Chicago has taken the opening contest from a LeBron James-led team. And in each of those occurrences, Thibodeau’s teams have went on to lose the remaining games in the series. What’s to saying we aren’t just waiting for the proverbial other shoe to drop? For all we know, that’s exactly what’s going to happen. And yet, there’s something about this Bulls team that makes us think that Rose and company may finally be ready to conquer past demons. For anyone who watched the game, it was clear that D-Rose was playing with a purpose. He knifed through the Cavs defense like a man who trusted his body and athleticism. There was no hesitation; no fear. He knew Chicago needed to steal one of these games on the road. But more importantly, he thoroughly believed the team was going to get it done. That trust in himself, the players around him, and the team’s system is what separates this group from past teams. Rose may be the one leading the show, but the supporting cast is more than equipped to carry its own weight. In Rose’s considerable absence this season, Jimmy Butler established himself as the team’s go-to scorer. Although he didn’t lead the team in scoring during Game 1, Butler still managed to drop 20 points to go along with his six assists. He gave the team 44 minutes of intense play and was fearless on the floor. 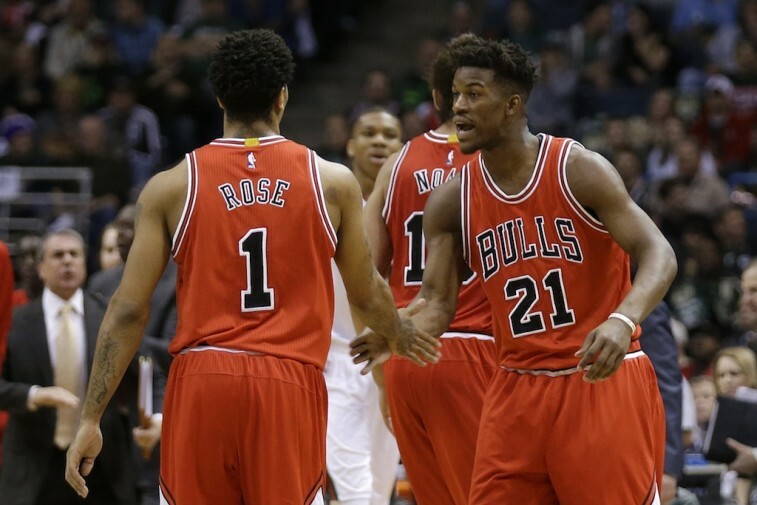 With Butler out there, the Bulls know they don’t have to rely entirely on Rose — and that’s huge. He has the ability to turn it on when need be and be the difference maker in the lineup. However, on Monday night, that role belonged to Pau Gasol. The Cavaliers had no answer for the Chicago power forward, who finished the night with 21 points, 10 rebounds, and four assists. Gasol’s ability to knock down shots from the top of the key proved to be the deciding factor in this contest — he couldn’t miss off the pick-and-pop. When you have a big guy who can spread the floor and provide space, it proves extremely difficult for the opposing team. The Bulls finally have a player like that in Gasol, and Cleveland is now at a disadvantage without its sharpshooting big man Kevin Love. It’s clear that Chicago is blessed with the more favorable matchups at this point. That could put this team over the top. 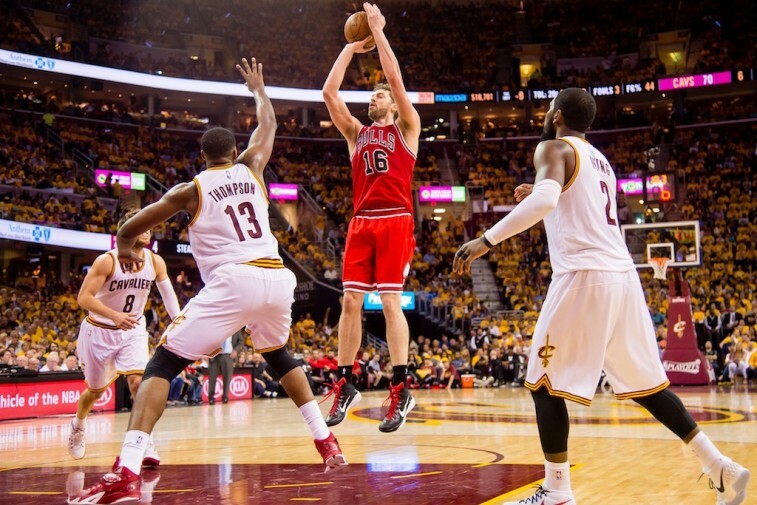 While the Bulls came out in Game 1 with a vengeance, the Cavs didn’t get the best game from their superstar. James had a double-double with 19 points and 15 assists, but it was his six turnovers on the night that really stood out. He knows that he has to play better for Cleveland to stand a chance in the series. But the King doesn’t seem too concerned. The tape is certainly going to show that Gasol made the Cavs pay, but it’s also going to reveal something else — this is a different Chicago Bulls team. They are at full strength and they are confident. Rose is starting to put it together, Butler’s regular-season success is carrying over to the postseason, and Gasol is providing a dimension that Chicago didn’t have in season’s past. Everyone knows that Cleveland is currently at a disadvantage, but the Bulls still have to exploit that. They managed to do it in Game 1. 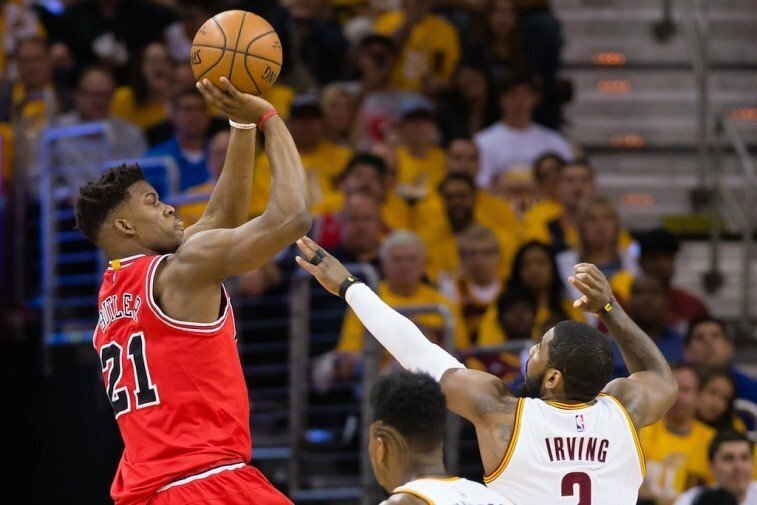 If they can continue to do so for the rest of the series, then the Bulls may finally be ready to oust a James-led team from the playoffs.